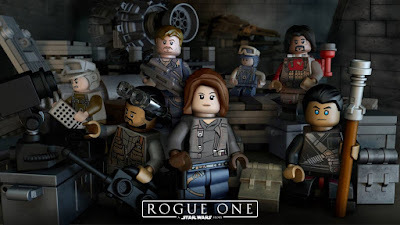 I don't believe anything has been officially released yet, but it is inevitable that Lego will have sets based on Star Wars Rogue One. Today they posted this image to their Facebook. Needless to say I'm excited beyond words that we may have a Star Wars move that isn't knee deep in Jedi.